On Decemeber 18, 2015, a good friend, brother & son has passed away due to unfortunate circumstances. Adedire "Dire" Ososanya was a Junior Business Marketing Major at Morgan State University. He was the current Mr. Junior for the Junior class of Morganites on campus. 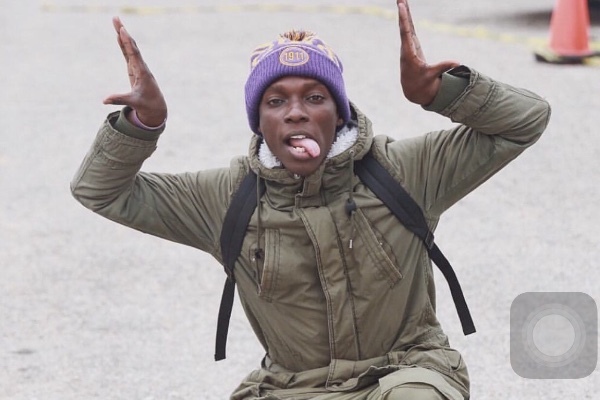 Just four weeks prior to obtaining his goal of becoming a member of the Pi Chapter of Omega Psi Phi Frayernity, Inc., Dire had hopes of carrying out his legacy to become Mr. Morgan State University. Dire spoke to the campus through his photography, his charisma and his kindness. Thank you to those that donated to help the family of Adedire Ososanya. We, the Pi chapter of Omega Psi Phi Fraternity, Inc. will be withdrawing the funds ourselves directly and donating them to the Ososanya family. Dire May your soul rest in peace. May the Lord Almighty console your parents. God rest his soul and comfort his family, friends, loved ones, and well wishers. May this kind of premature death be arrested by the power of God in our lives and families IJCMN Amen. Proudly donated to my sandz. Be OWT in Omega Chapter. RQQ. Praying for the family, MSU family and friends, I hope everyone find peace in this troubling time. May God be with you and remember to seek God. Much Love "Mr. Junior from Elizabeth City State University. " GOD BLESS YOU KING! !! My prayers are for comfort and peace for your family , Your MSU family and your Line brothers RIP. Heaven gained a good one! Thank you for letting me part of your life. Your in gods hands now. Long Live Dire!